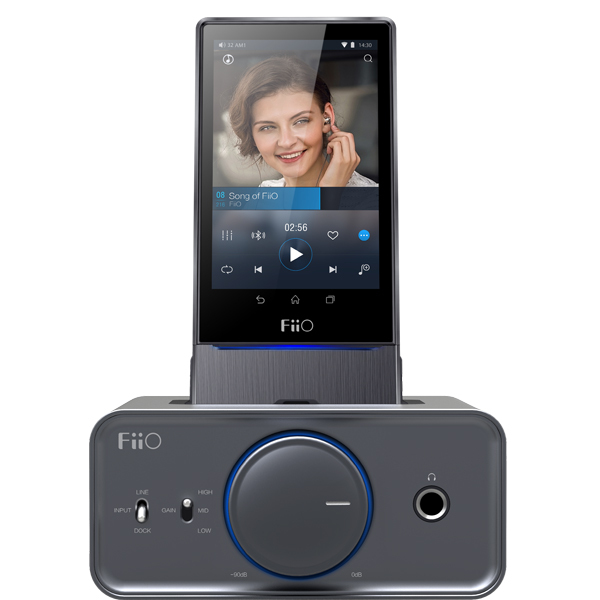 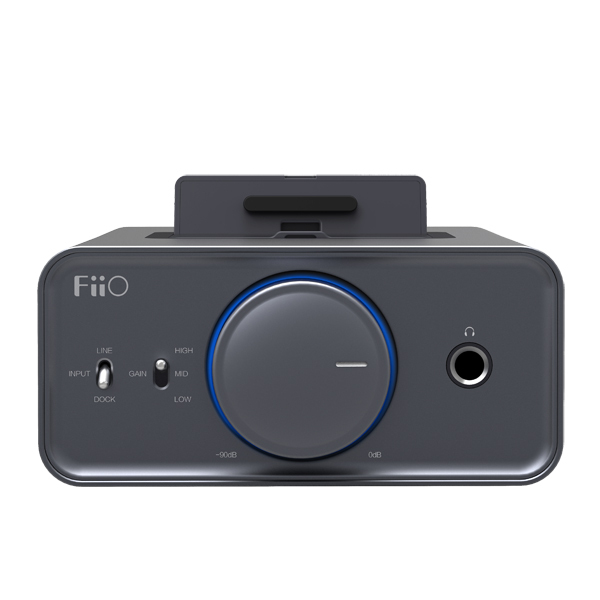 The new FiiO K5 compatible with the FiiO X1, X3 2nd Gen, X5 2nd Gen and the X7 players and E17K, is the latest docking station from FiiO. 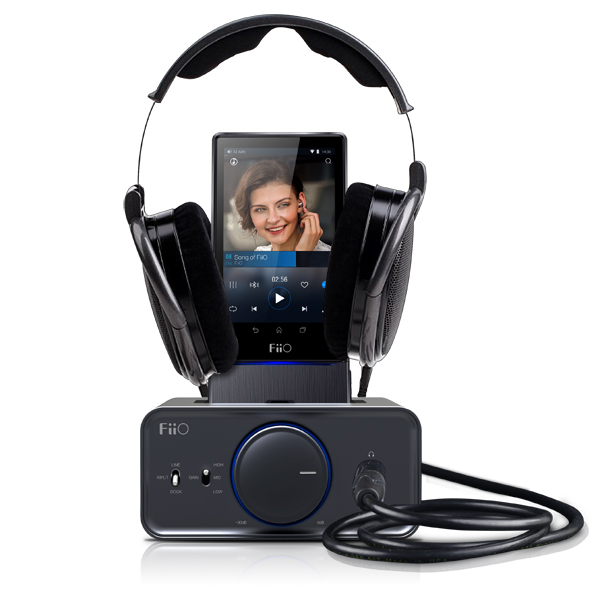 Utilizing TI's TPA6120A2 current feedback headphone driver, the K5 utilizes exclusive technology to lower its output impedance to a transparent 1 Ohm and increase its maximum output power to up to 1.5W@32 Ohms. 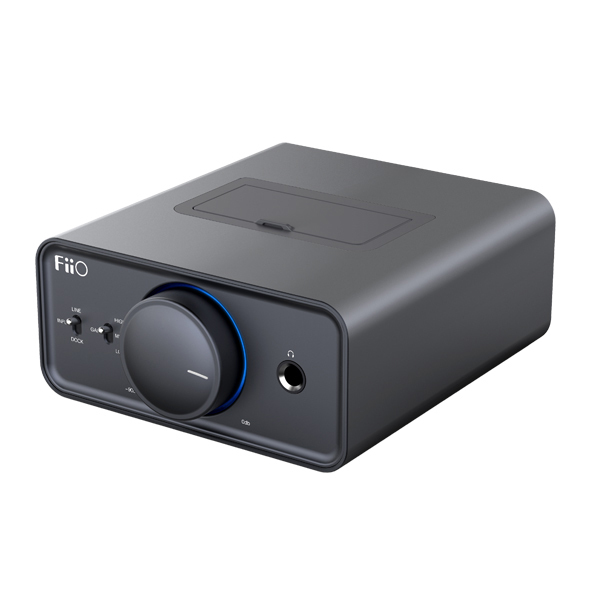 Utilizing an extra current amplification stage and comprising an internal high efficiency, low noise power supply, the K5 has high current output, satisfying highly dynamic program material, and has three gain settings suitable for headphones of different sensitivities. 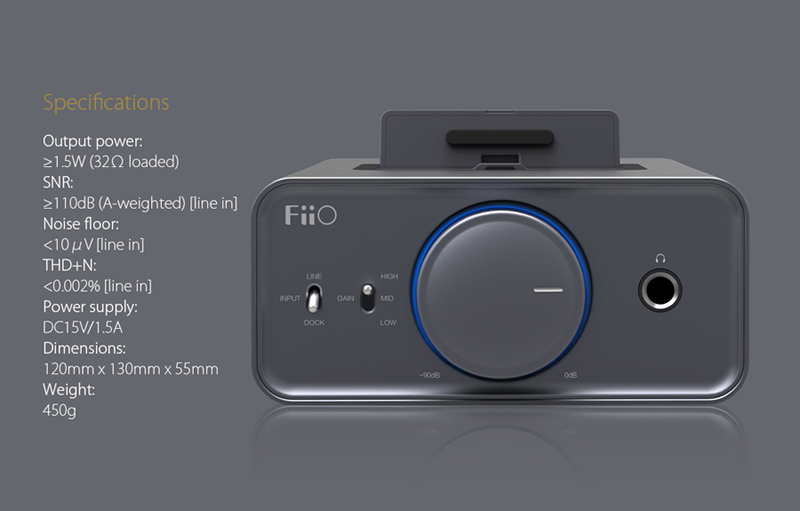 Compared to the last-generation E-series products, the K5 has made breakthrough strides in exterior design and craft, with lower tolerances for all joints and seams, more high-quality sanded surface finish and an indented front bezel assembly for a further upgrade in appearance. 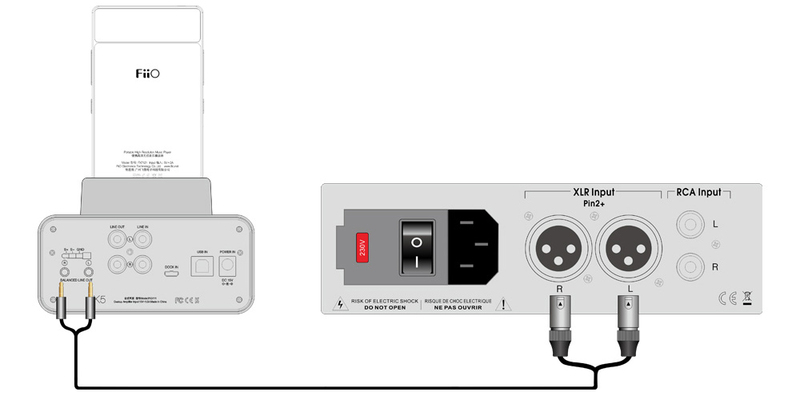 When the K5 power on/off, the docked unit will also power on/off in sync - a great convenience for users and a sign of complete integration of the docked devices. 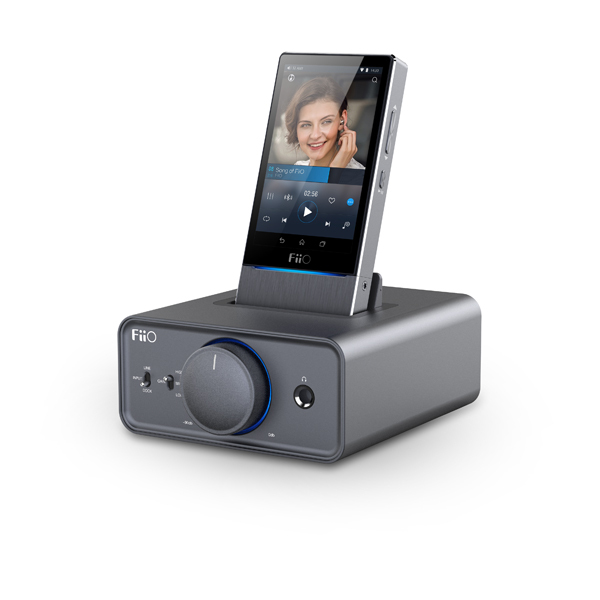 Besides the docking function, the K5 also has standard line inputs for other source components, and secondary dock input and USB pass-through input. 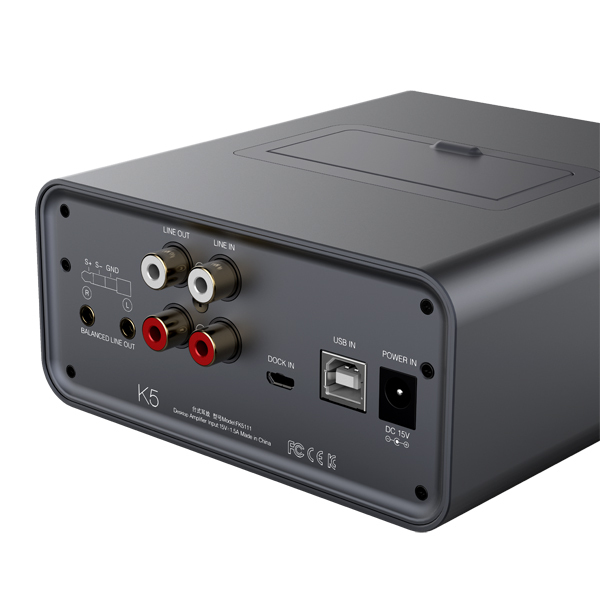 Besides regular RCA line output, the K5 also possesses a balanced line output function when docked to the X5ii or X7, and can be connected to the other professional amplifier components for even better sound effect.